Just like it had been promised, the HTC U Ultra was launched about two weeks ago in India, but the phone was to go on official sale by mid-March. Well, it is happening right now and if you are in India, the HTC U Ultra can be yours for Rs 59,990, which is about $900. The phone can be purchased directly from the official HTC India online store and it comes in blue and black color variants. The midrange HTC U Play is not yet available for purchase, but it should be joining the party sooner or later. As you can see, the $900 price tag is quite hefty. However, this is what to expect from a phone that is being positioned as a flagship. It ships with a 5.7-inch QHD screen, a Snapdragon 821 SoC paired with 4GB RAM and has the latest Android 7.0 Nougat out of the box. But if this price tag is too big for you, there’s always room for alternatives. 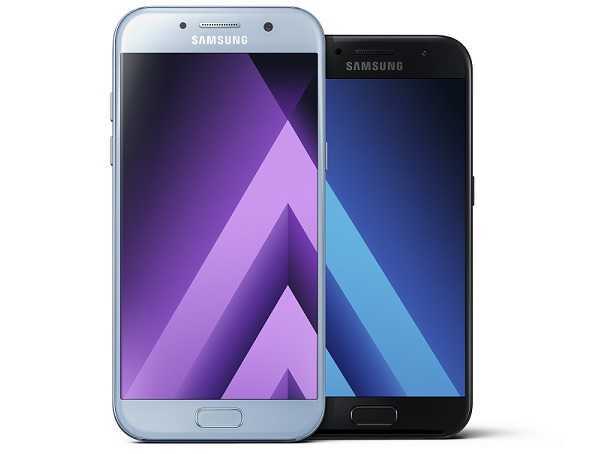 Enter the new Samsung Galaxy A5 2017 and Galaxy A7 2017. Samsung unveiled the Galaxy A5 2017 and Galaxy A7 2017 in early January and while these phones have already been unveiled in quite a number of markets across the globe, it is only now that they are coming to India. Where the former is priced at Rs 28,490, the latter has a price tag of Rs 33,490. Unlike the HTC U Ultra that is already available for purchase, the Galaxy A 2017 phones can only be purchased starting March 15th. Despite being midrangers, the two phones come with a bunch of features that have always been spared for the high-end family. One major feature is the IP68-certified glass and metal design, 16MP shooters on the front and back, and 3GB RAM. Other specs include an Exynos 7880 SoC, 32GB storage, 5.2 inches of display for the Galaxy A5 2017 and 5.7 inches of display for the Galaxy A7 2017. The battery unit of the former is 3000mAh in capacity while the latter ships with 3600mAh. Unlike in the past where only high-end Samsung Galaxy S and Note series phones shipped with support for Samsung Pay, the two Galaxy A 2017 phones are equipped with the service out of the box. Speaking of which, it is already available in India as at the time of this writing. Yes, Samsung Pay is now available in India, but only for those who signed up for the early access program. In addition to the two Galaxy A 2017 phones, you can also use Samsung Pay on Galaxy S7 series, S6 Edge+, and Note 5. The app weighs about 81MB and requires users to provide en email address when signing up. At some point, you will also be asked to provide a PIN and fingerprint for security purposes. For now, Samsung Pay is available for those who are associated with Standard Chartered, ICICI, SBI, HDFC, and Axis Banks, but others will be joining the party sooner or later. If you haven’t joined yet and your device is eligible, do so by visiting the official Samsung Pay India page.